Multi-cloud environments are taking cloud use to the next level, letting businesses deploy a mix of services from different providers. Multi-clouds go beyond hybrid clouds, which integrate private and public clouds. In a recent survey, 81% of 997 respondents said they're using multiple clouds. The survey, conducted by multi-cloud vendor RightScale, also found that the number of organizations with hybrid cloud strategies fell to 51%, from 58% last year. With a multi-cloud environment, an IT team can selectively use services from several cloud providers to meet the storage, workload and application requirements of various business units. Mixing and matching among providers' offerings gives IT more ways to meet the needs of specific groups. A multi-cloud strategy helps organizations avoid vendor lock-in. And when a business unit needs a new capability or service, IT can respond fast because it isn't limited to one cloud provider's offerings. Despite the advantages, a multi-cloud environment isn't for everyone. It can be more complex to maintain, and data can be difficult to manage when it resides in different public clouds as well as private clouds. Multi-clouds make sense for businesses that must ensure service reliability or meet a high-level data privacy requirement. The approach is also useful in situations that demand flexibility and where a business wants the most cost-effective services offered based on its specific requirements. 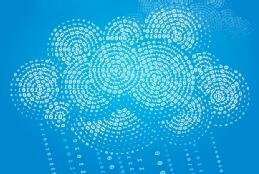 And when it comes to multi-cloud deployment, interoperability is key. The best way to achieve cross-cloud interoperability is to standardize as much as possible and use a single management tool and an independent monitoring tool. Want to make sense of all the cloud storage options out there? This handbook will provide details on how multi-clouds and hybrid clouds compare, who can benefit from a multi-cloud environment and how best to deploy one.